After a €1,972 million loss in 2013, ACCIONA returned to profit in 2014 with attributable net earnings of €185 million, thanks to its 2013-2014 Action Plan, which was implemented to mitigate the effects of regulatory reforms in the Spanish energy sector. ACCIONA is cautiously optimistic about its business environment following the achievement of the objectives set in the Action Plan, together with the consolidation and strength of ACCIONA’s business model. Nevertheless, the Group will continue to work towards strengthening its balance sheet, its growth potential and its profitability. The Action Plan of 2013-2014 has met all its goals. Investment outlays decelerated, particularly in the Energy division, to €340 million in 2014. Asset rotations totalling €1,000 million were completed over the past two years; net financial debt has fallen to €5,294 million, which has reduced the Debt/EBITDA ratio to 4.87x, while the financial structure of this debt has been diversified. Only 25% of recourse debt is bank debt. Operational and organisational measures within the Energy and Infrastructure divisions have also brought about synergies, reduced costs and greater efficiencies. In this context, the board of directors has voted to propose to the next AGM a dividend of €2 per share, against 2014 results, following the cancellation of the dividend in 2013. The new IFRS 11 accountancy rules have brought about changes to the consolidation method for some ACCIONA Group companies. As a result, 2013 results have been restated under the new methodology to allow like-for-like comparisons. 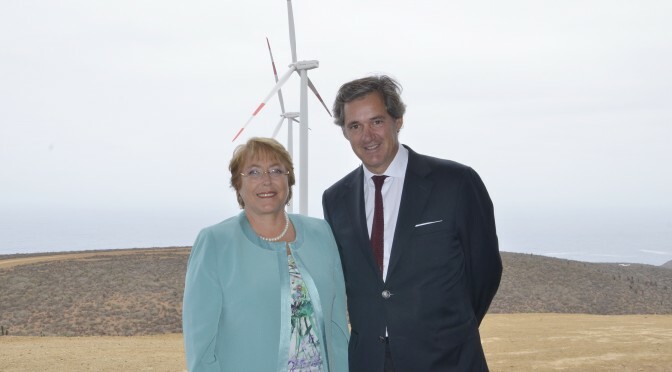 At the same time, the results include an extension of the useful life of ACCIONA’s wind assets, which brought about a €122 million reduction in amortisation outlays. Earnings before tax (EBT) were €277 million in 2014, compared to a loss of €2,174 million in 2013. Ordinary EBT rose from €29 million to €233 million. Earnings before tax would have been €346 million higher but for the energy reforms introduced in Spain since end of 2012. EBITDA remained broadly unchanged from 2013, with a 2.4% increase to €1,087 million. Revenues grew 3.6% to €6,499 million in 2014, thanks to an 11.6% growth in the Energy division, 10.1% growth in Services, and 9.1% growth of Other Activities, which balanced revenue falls in the Water (-17.2%) and Construction (-1%) businesses. In a challenging environment, the Group continued to invest in international projects, with ordinary net capital expenditure totalling €340 million in 2014. 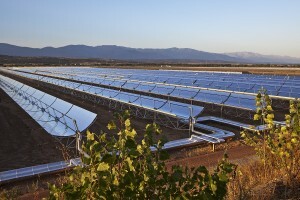 This included €282 million dedicated to the organic growth of ACCIONA Energía, and €70 million to the Infrastructure division (of which €39 million went into Construction). Divestments totalled €629 million during the year. Proceeds from divestments allowed the Group to reduce its net financial debt by 12.3%, from €6,040 million on December 31st 2013 to €5,294 million at the end of 2014. As a result, the Debt to EBITDA ratio fell from 5.7x in 2013 to 4.9x at the end of 2014. This important adjustment took place in spite of the negative impact of “mark to market” of derivatives, and exchange rate movements. Without these, ACCIONA would have achieved a 16.6% reduction in its net debt, equivalent to €1,005 million. The company has made important strides in diversifying its debt profile and lengthening maturities. Of the €2,017 million of recourse debt, 63% represents non-bank debt, including commercial paper, bonds and convertible bonds. The average term of recourse debt has been extended from 1.35 years to 2.35 years. ACCIONA’s attributable equity as of 31st December 2014 amounted to €3,380 million, 4.6% higher than in December 2013, which allowed the gearing (net debt to equity) ratio to fall from 178% to 147% in 2014. 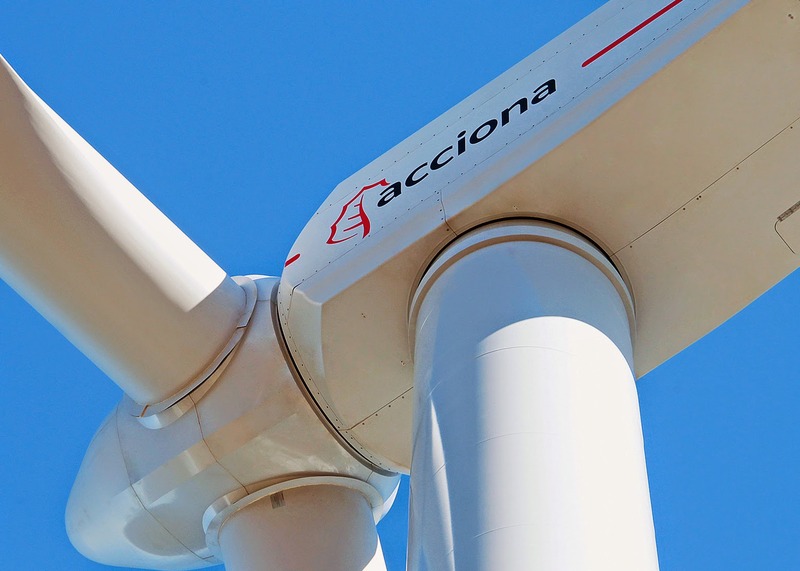 ACCIONA Energía posted revenues of €2,200 million in 2014, an 11.6% increase over the previous year, although EBITDA fell 7.7% to €788 million and EBT totalled €86 million. The results of this division have been deeply impacted by the Royal Decree Law 9/2003 and subsequent regulations, which cut back EBITDA by €188 million in 2014 and EBT by €231 million. The overall impact of the battery of energy reforms introduced in Spain since 2012 was to reduce EBT by €346 million in 2014. 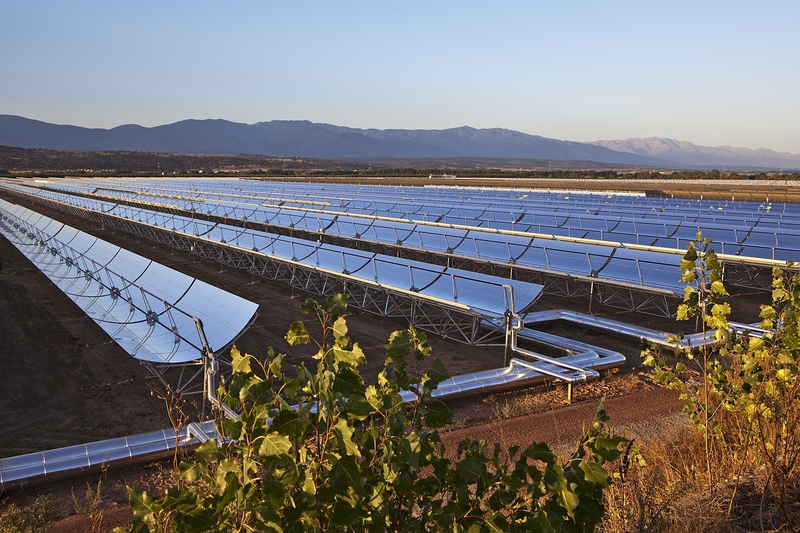 ACCIONA Energy’s installed capacity totalled 6,937MW at the end of 2014, of which 4,677 MW were in Spain. Total electricity output was 17,572 GWh. 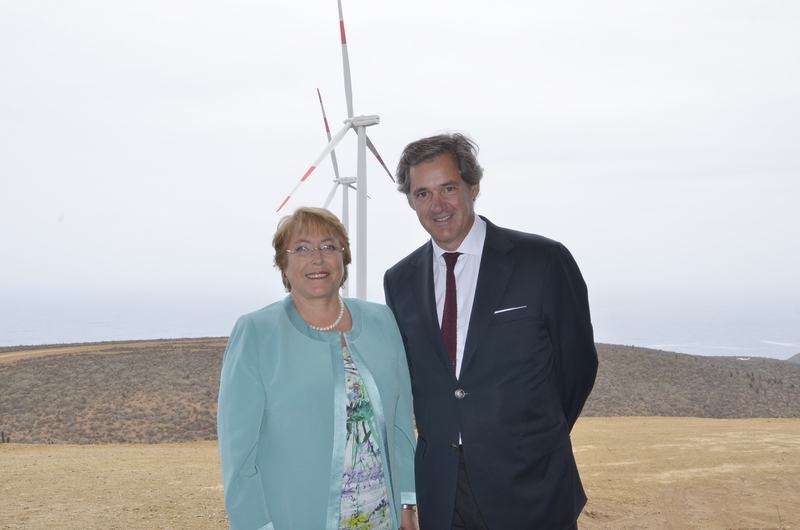 ACCIONA Windpower’s turnaround in 2014 was particularly noteworthy. The wind turbine manufacturer posted an EBITDA of €39 million in 2014, compared with a loss of €52 million in 2013. ACCIONA Windpower installed 762 MW last year, compared with 205 MW in 2013, and had an order book of 1,093 MW in December 2014. 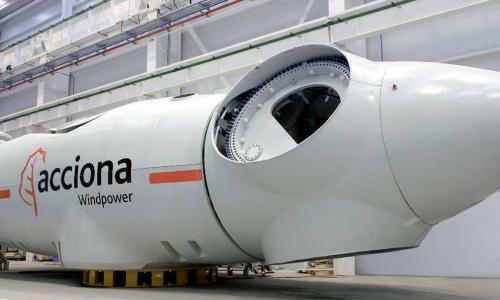 The performance of ACCIONA Windpower has been one of the positive elements that has allowed the Group to mitigate the loss of income stemming from the regulatory reforms in Spain. The Infrastructure division, which groups together Construction, Water and Services, posted a 1.3% fall in revenues to €3,727 million, albeit with a significant improvement in EBIDTA, which rose 43.4% to €173 million. The Construction business posted revenues of €2,626 million, down 1%, although EBITDA almost doubled to €118 million as a result of good results from international activities. The backlog stood at €5,693 million at the end of 2014, unchanged from 2013, with 64% of the total corresponding to projects outside Spain. The construction business won €2,534 million in new projects in 2014, of which 82% corresponded to international projects. Agua’s revenues fell 17.2% to €409 million, mainly as a result of a drop in design and construction activities after the completion of major projects in 2013. EBITDA was 14.3% lower at €35 million. The backlog of the water business was €9,358 million at the end of 2014. Services posted revenues of €691 million in 2014, a 10.1% increase over the previous year, driven by the greater volume of business in facility services. EBITDA was stable at €21 million. Revenues from Other Activities grew 9.1% to €692 million, and EBITDA rose 44.4% to €126 million, thanks to the improved performance of Trasmediterránea, Bestinver and the real estate business. Trasmediterránea improved its EBITDA by €19 million to €30 million as a result of increased passenger and vehicle fares on its ferries, and the lower cost of fuel. Inmobiliaria, the real estate business, posted an EBITDA of €3 million, compared to a loss of €2 million in 2013, thanks to international sales, particularly in Mexico. Bestinver, the asset manager, had €6,472 million of assets under management at the end of December 2014, and an EBITDA of €96 million, a 22.2% increase over the previous year. Net attributable profit 185 -1,972 n.m.